Build.com operates a network of stores focused on many types of home improvement products. 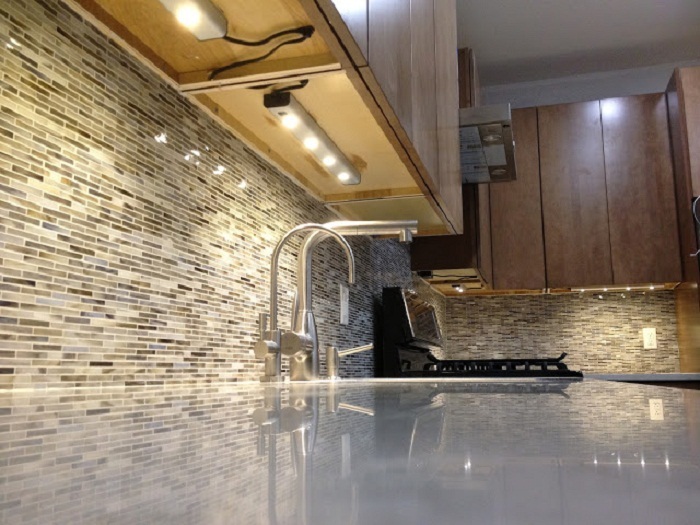 These categories include flooring, cabinet hardware, and door hardware among various others. 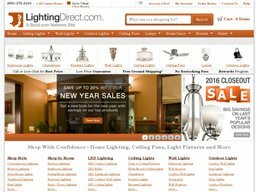 Lighting Direct has a vast selection of lamps, ceiling fans, and lighting fixtures. Lights are available for the ceiling, wall, and outdoors. There is also a selection of other home decor options. Payments for purchases can be made using a credit card issued by MasterCard, Discover, Visa, or American express. You also have the option of paying using Paypal, Amazon Payments, or checks. If your total is above $1,000, then you can pay using a wire transfer. You can have purchases from Lighting Direct sent anywhere in the United States, including APO/FPO addresses. Before having something sent to an APO/FPO address though, it's important to contact the company so that they can give you a quote on the shipping costs. Those who live in Canada can also receive shipments. Lighting Direct has an easy refund policy. If it has been within 30 days of your purchase, then you can contact the company to arrange a return. The products will need to be in their original packaging without ever having been installed. Returns can also be setup online. You will have to use your own shipping method, the cost of which can only be reimbursed if you received the order in a damaged or defective state.